There are many countries around the world that offer you the right to residence without having to be physically there. The biggest benefit of having residence in another country is the ability to avail of offshore and financial protection strategies that would otherwise be unavailable to you as an America citizen. For example, international banks are more willing to accommodate non-resident U.S. citizens than those living in the United States. So if you’re a U.S. citizen with a legal residence in another country, investment restrictions imposed on U.S. residents by international banks (like opening an international bank or brokerage account) may not apply. Two of the most popular second residence options that don’t require actual physical presence are Panama and Belize. Another good choice is Uruguay. • As a pensioner (Pensionado): To acquire this status, you must demonstrate proof of a pension or annuity income of at least $1,000 per month. If your spouse accompanies you, the total monthly income must be $1,250. • As a citizen of a “friendly country.” The U.S. and more than 40 other countries are considered a friendly country under this option. The easiest way to qualify is to deposit $5,000 in a local bank account and form a local company. • Make an investment in a qualifying reforestation scheme, such as a teak plantation. The minimum investment to qualify is $80,000. For all three options you must make two or more trips to Panama before you obtain legal residence. However, once you become a legal resident in Panama, you have no obligation to physically reside there. 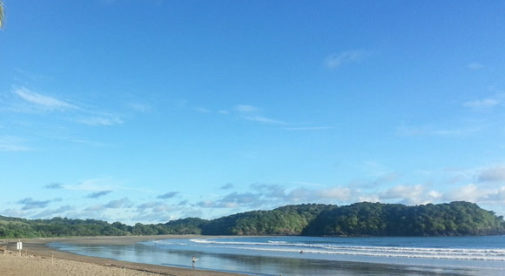 You only need to visit Panama once every two years. Once you’ve had residence in Panama for five years, you can apply for Panamanian citizenship. While the letter of the law does not require physical presence in Panama to qualify for citizenship, the reality is that your application will not be approved unless you have spent most of the five-year period in Panama (which is verified through immigration records). There is an exception to this for visas issued under the Pensionado option. If you have this visa you’re not eligible for Panamanian citizenship. What’s more, Panama doesn’t recognize dual citizenship, although the requirement to give up your current citizenship when you acquire citizenship in Panama currently isn’t enforced. To be eligible for the QRP program in Belize, you must be 45 years old or older and receive a monthly income of at least $2,000. Belize has a liberal immigration policy and is looking to attract retirees through its Qualified Retired Persons (QRP) program. If you qualify for the program, you’re exempt from tax on all income originating outside Belize. To be eligible for the QRP program, you must be 45 years old or older and receive a monthly income of at least $2,000, generated through a pension or annuity outside Belize. As a QRP, you need spend only one month a year in Belize to maintain your residence status. The QRP program isn’t a pathway to Belize citizenship. 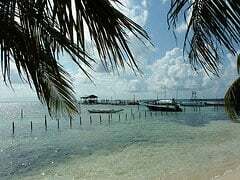 To qualify for Belize citizenship and a passport, you must apply for ordinary permanent residence after living continuously in Belize for at least one year. After five years of legal residence in Belize, you can apply for citizenship and a Belize passport. If you’re married to a Belize national, you’ll be eligible for citizenship after only one year of residence. Unlike Panama, there’s no requirement to give up your current passport when you become a citizen of Belize. Uruguay is also a good choice for legal residence that doesn’t necessarily require a prolonged physical presence. To qualify you must visit Uruguay for a one-time extended visit—up to about six months. You can come and go during this period, but you must be in the country for at least half of the six months. Once you become a permanent resident, there is no minimum stay requirement. You will lose permanent residence status only if you stay out of Uruguay for three or more years. Learn more about Panama, Belize, Uruguay, and other countries in our daily postcard e-letter.